You almost could not ask for a more classic or a more effective Norman or Viking helm than this Spangehelm Nasal Helmet. Historically, this was a helm worn by common soldiers and elite warriors alike, if only for the helms incredibly efficient design. 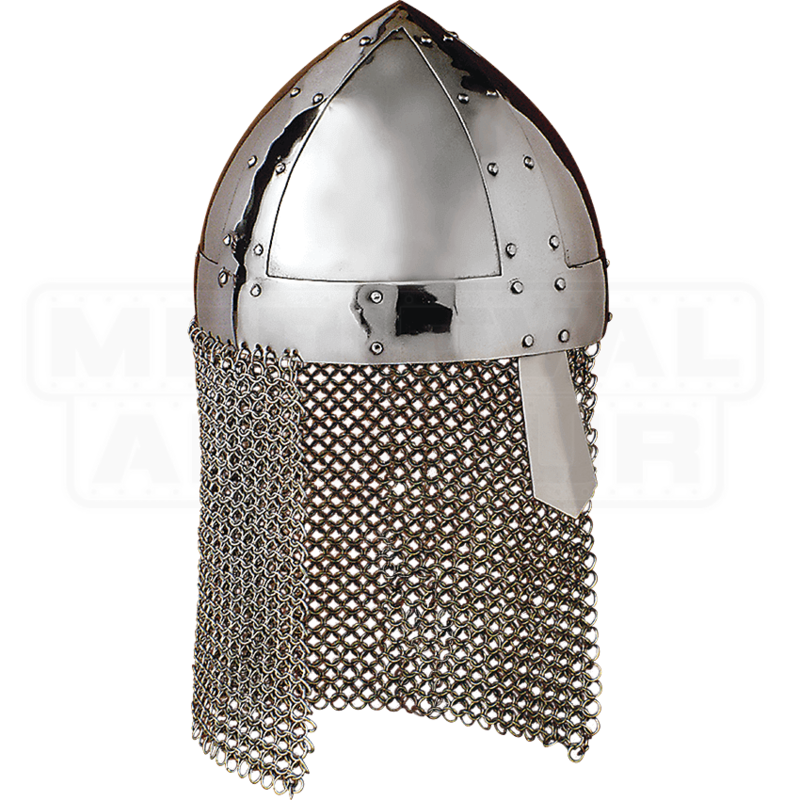 This helm is very-much a typical Norman helm, featuring a convex shape that has been reinforced with metal strips along the brim and crown of the helmet. The helmets crown draws up to a subtle point, which is a purposeful design that helps to divert downward-falling blows along the side of the helmet. 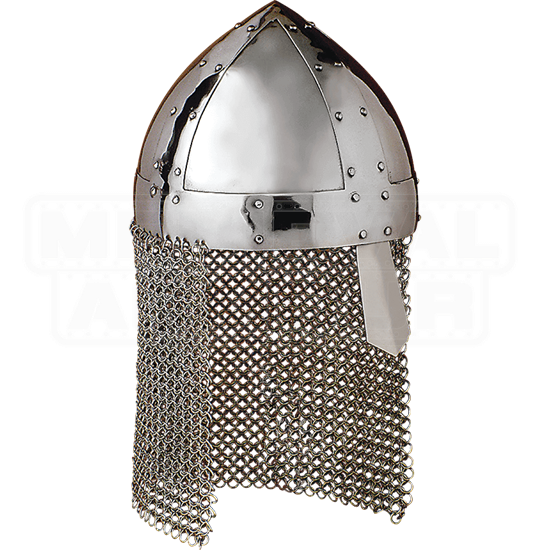 Also featured on this helm is a simple nose guard, as well as a chainmail drape that hangs down the back and sides, adding additional protection to the wearer. It may not be fancy, but what this Spangehelm Nasal Helmet lacks in ornate designs it more than makes up for with its rugged and effective shape. As a warrior, you could not do much better than this helmet, and as a collector, you could not ask for a finer specimen to use as a centerpiece.